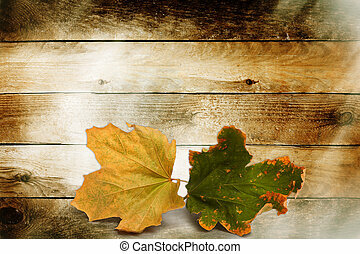 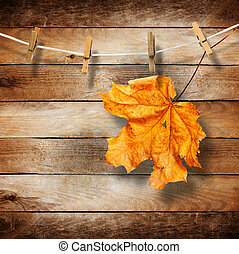 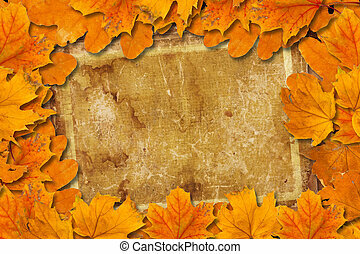 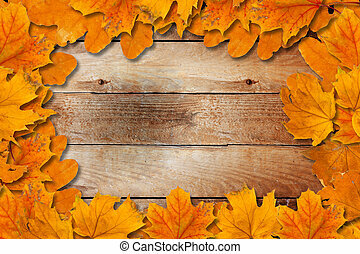 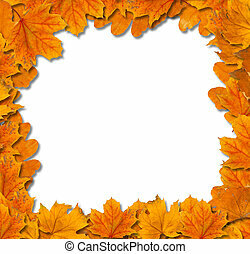 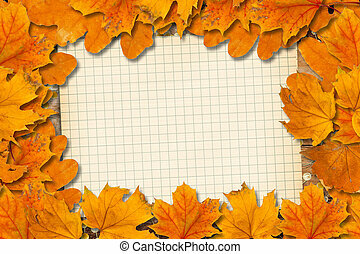 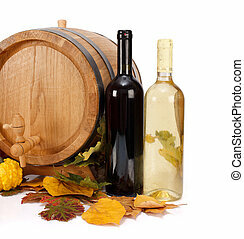 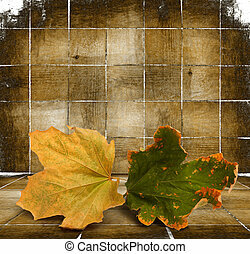 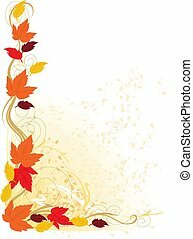 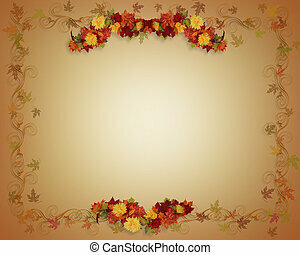 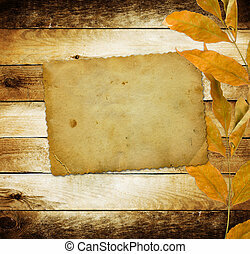 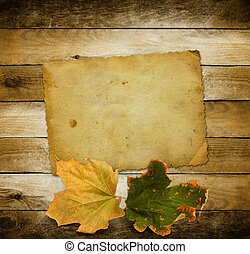 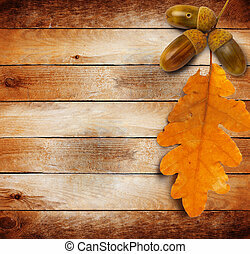 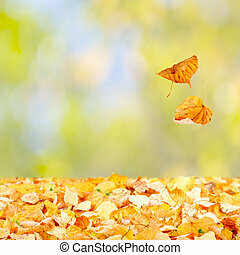 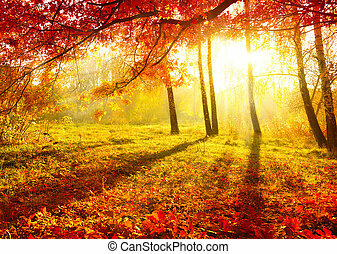 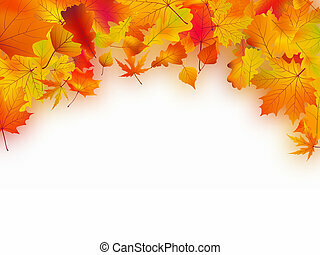 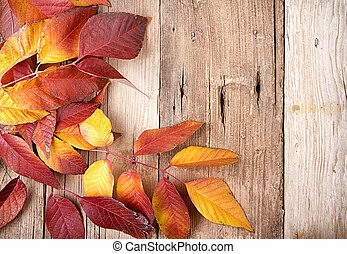 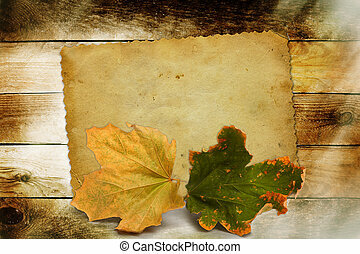 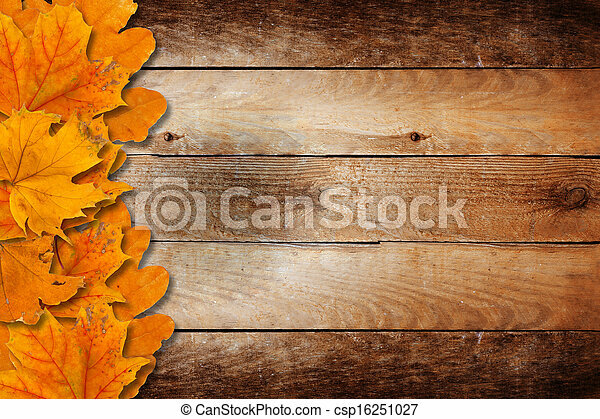 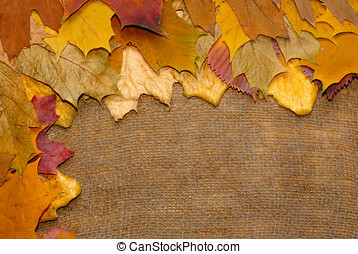 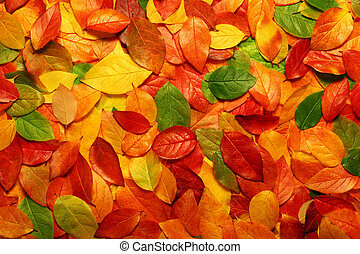 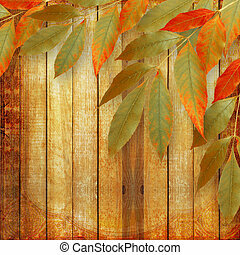 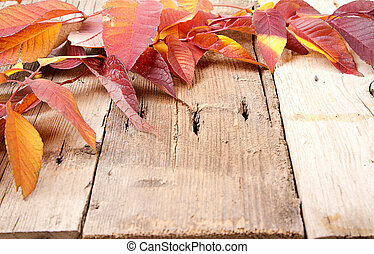 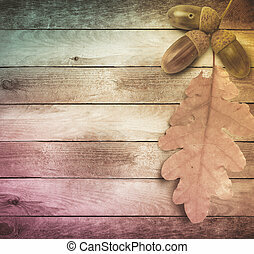 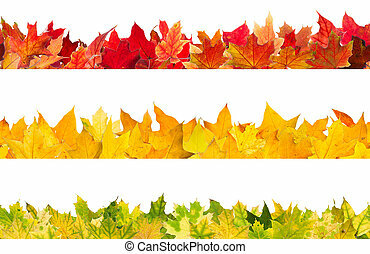 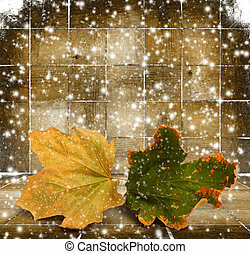 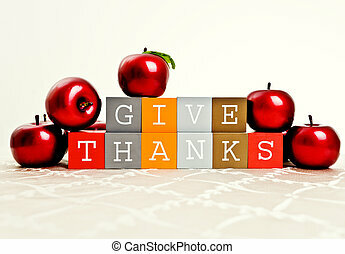 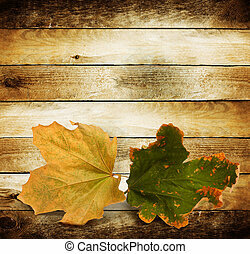 Bright fallen autumn leaves on a wooden background. 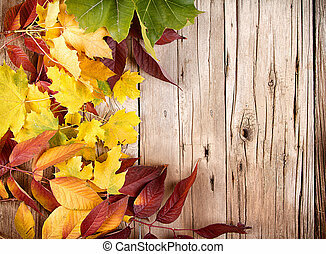 Warm colors of Autumn. 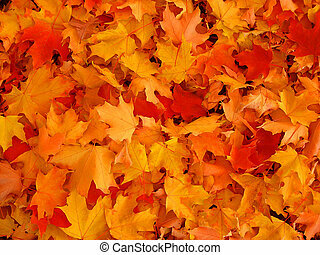 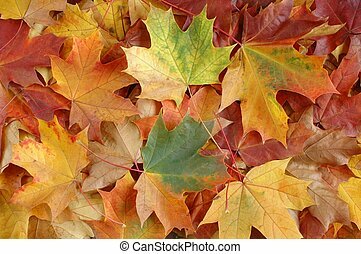 Maple leaves covering the ground.